I returned from an impromptu wedding planning trip to Utah to a bunch of new toys. After months of it sitting in my Amazon shopping cart, I finally broke down and purchased a Konad stamping kit as well as an assortment of brushes and dotting tools. 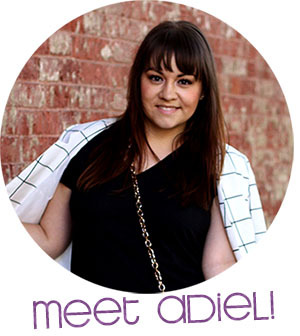 I honestly couldn't tell you why I waited so long and I wish I would have done it sooner! 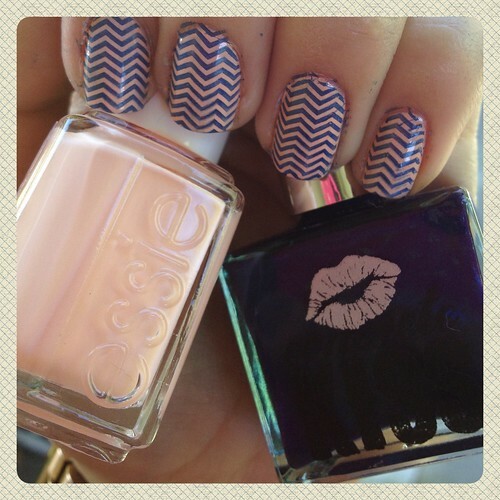 Right away, I stamped some blue zig zag stripes on top of Essie's A Crewed Interest. Of course, I couldn't stop there! I convinced my roommate to let me practice on her nails. 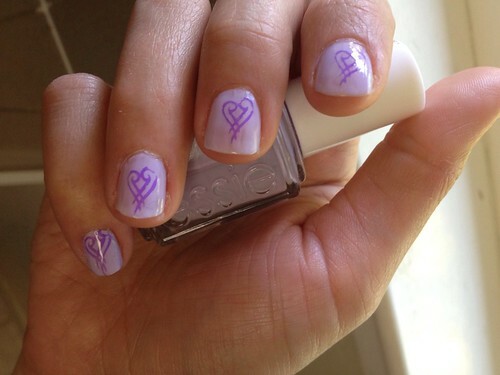 She chose a canvas of Essie's Lilacism with Julep's Anne stamped in a heart shape on top. But of course, I couldn't resist trying another design. 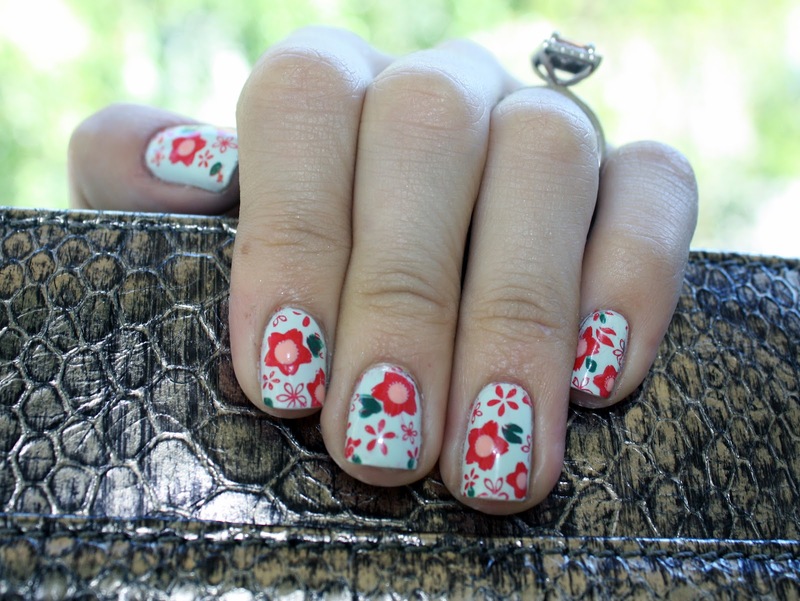 On top of a base of Julep's Susie, I stamped a floral design with Essie's Ole Caliente. I used a dotting tool to add peach centers to a few of the flowers with Essie's A Crewed Interest. Using a small nail art brush, I accented with a few leaves of OPI's Jade is the New Black. I'm obsessed with how it turned out. With these new tools, it's going to be really hard to resist the urge to change my nail polish every single day. 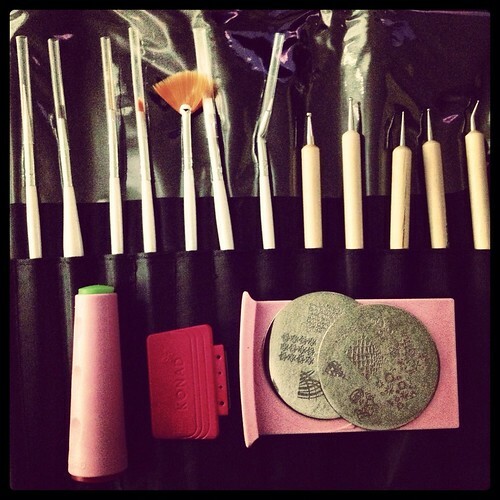 Have you tried Konad stamping? What did you think? OMG. You're going to so get your money's worth out of that kit! Love the zig zag and flowers! I know I feel like i change my polish every 3 days because of all the fun tools I cant resist. :) Hope you're loving all your new toys and I cant wait to see your nails! Ho.ly.cow. I can't believe that last one. Come do my nails! The zig-zags are awesome! What plate # is that?? I can't find it! I just bought that exact brush set!!! Absolutely love, and I've been meaning to get some Konad plates, I'll have to get some. Umm so this is seriously amazing! I Love the chevron nails!! Great buy! Your chevron nails are amazing! I bought a konad style stamper recently and have been more then a little obsessed ever since.